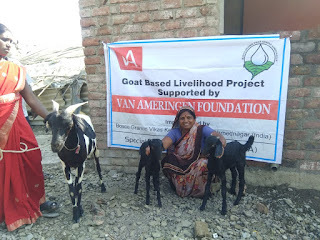 Ahmednagar (Maharashtra), January 2019: The BOSCO GRAMIN VIKAS KENDRA (BGVK) in collaboration with VAN AMERIGEN FOUNDATION has been implementing Goat Based Livelihood Project in rural Maharashtra. 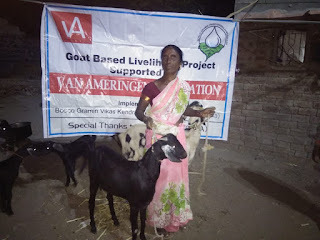 The project aimed at facilitating access and control for women over resource and income from goatery. 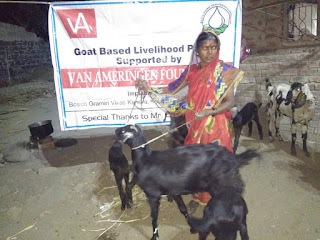 Thirty six women were given 72 goats which has provided them a good income from the sale of the kids. 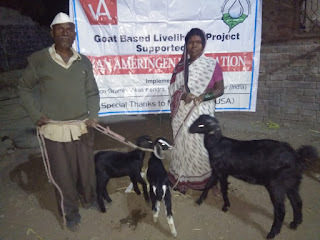 Fr George D’Abreo (Director – BGVK) said, “Through the trainings, women also have learned the goatery management i.e. 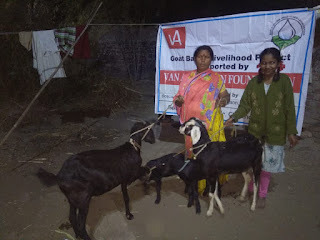 fodder, vaccination, De-worming and feeding practices. 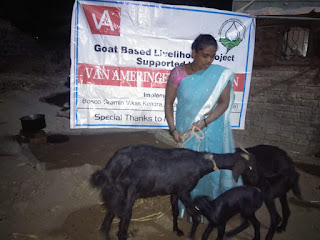 It also has helped them to reduce mortality and also maintained quality and productivity”. 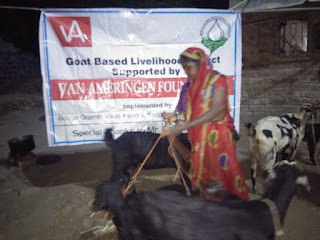 The project is now successfully implemented and complete - the beneficiaries were very grateful to VAN AMERIGEN FOUNDATION and BGVK for this precious project which enhanced their livelihood.